Bring the outdoors in with this faux, cedar-leaved Hedge. No Pruning or watering is required for the 20 inch tall faux topiary. Place one or two hedges side-by-side as a backdrop for a springtime vignette or place atop the fireplace mantel or bookshelf to emphasize height and dimension. Dense artificial foliage gives Hedge an authentic look. 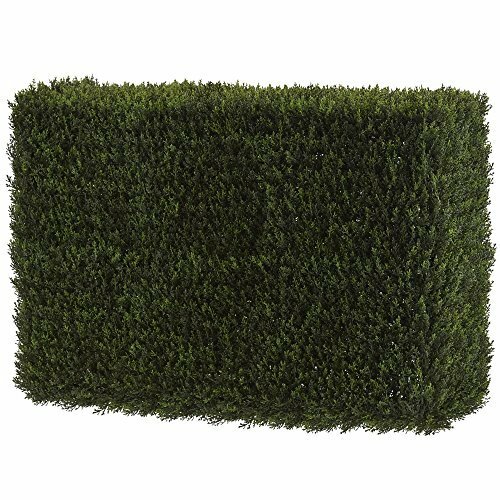 Hedge is freestanding, recommended for indoor or outdoor use.